The 2019 ACS President-Elect Prof. Louis Echegoyen and his former postdoc Prof. Chia-Hsiang Chen came visit ACSTC on Nov 16. A welcome dinner hosted by ACSTC was attended by committee members Jye-Shane, Tahsin, I-Jy, Chih-Hsin, Po-Shen, Ching-Wen, and Wei-Ssu. Prof. Echegoyen also delivered a scientific talk entitled “Buckyball Maracas: New Enjohedral Fullerene Structures, Reactivity, and Supramolecular Interactions” at NTU-Chem at 15:30. 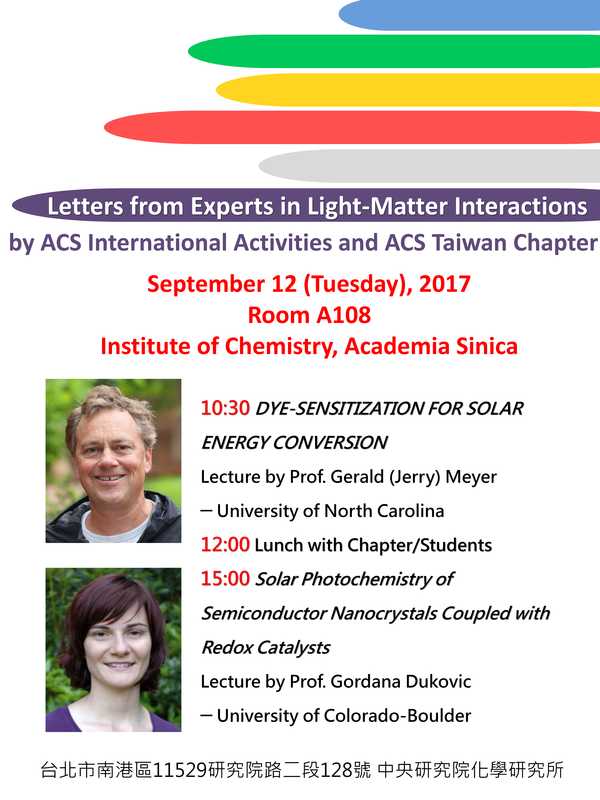 Thanks to The ACS Green Chemistry Institute, ITRI Green Energy and Environment Research Laboratories, and Chemical Society Located in Taipei for the Support.